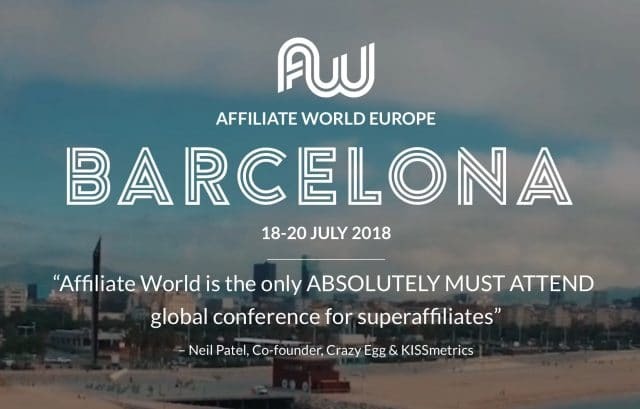 Get a Free Ticket to Affiliate World Europe (Barcelona)! Update: check the end of the article to see who’s the winner! You know the drill, don’t you? I’ve been attending the affiliate world conferences at least once per year since the first meetup in London back in 2015. While they have had some other meetups before, that was the second official meetup before creating Affiliate World Conferences and it was a good one for me. Every year, the guys from STM organize 2 big meetups. One in Asia and one in Europe and so far my favorite was always Bangkok for several reasons, but this time I’ll go to the European version which is going to be hosted in Barcelona for a change. The first 2 conferences in Europe were hosted in Berlin but this time the crew has moved the conference to Barcelona, and with many hipster places, great weather and right after the Fifa World Cup, I’m sure the general vibe will be super cool unless Spain makes it to the final and lose 7-1 (fingers crossed it doesn’t happen). 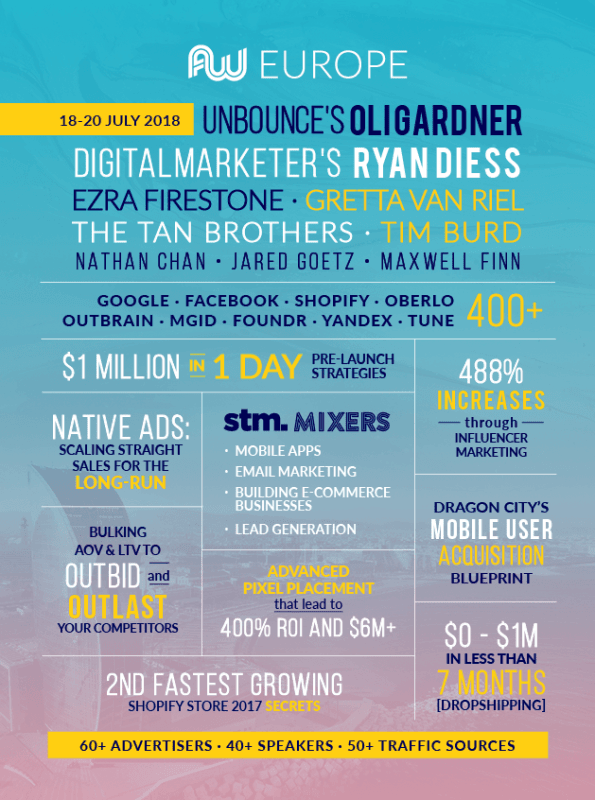 The conference will be hosted for 3 days in the Centre de Convencions Internacional de Barcelona right near the beach and this is a conference where I’ve seen Drew Eric Whitman, Neil Patel, the Tan brothers and many other successful internet entrepreneurs talk. If you’re running any kind of traffic (social, mobile, PPV, Search, etc) this is the place to be. No doubt! One thing I’d like to mention is how this conferences are evolving into what I think is the right direction with every iteration. I’m not talking about organization here, but mostly about what’s working and what affiliates and any digital marketers are doing with their traffic. We can see a clear path to more white hat stuff, mostly eComm, and overall we have speakers that are building businesses and long term brands without being super aggressive and playing the algorithms of behemoths like Google and Facebook. This doesn’t mean people are not running nutra, sweeps, tech support anymore. Of course they’re and people are still banking from it, however the clear trend we can see in the last couple years is “you don’t need to cloak or do black hat to be successful“. And that’s something I love personally as that’s what got me into the affiliate marketing atmosphere in 2011. Will there be a lot of talk about crypto markets like in AWA2017? Who knows… The market isn’t helping at the moment but we’ll see. You can read and learn a lot of what people are doing and what’s happening in 2018 by downloading this FREE GUIDE. It’s a 135 pages PDF, but it’s well worth a read if you want to know or confirm what’s working for many of the top affiliates in the industry. The conference lasts for 2 days and every day has a party in the afternoon, and of course there are dozens of other unofficial parties hosted by networks as well. 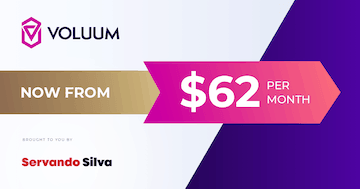 Third day os for people who pay extra for the eCommerce Mastery Live Event (worth 1,400 Euros). OK so finally, as I’ve done a couple times before, I’m going to give away a free ticket for somebody who participates in a very simple giveaway here in the blog. The only thing I ask is you to do is to make sure you can attend the conference if you win. Tickets are worth $750 euros at the moment so that could easily be worth your hotel stay or plane if you’re traveling from far away like me. If you live in Europe even better because you can take a $100-200 airplane and be there in a few hours or maybe take a $100 train and be there in no time. Share this post in your FB or Twitter profile. Answer in a comment below 3 simple questions: a) Where are you from (country)? b) For how long have you been in this industry? c) What kind of traffic are you running and what do you expect to learn or see in the conference? In 1 week I’ll announce the winner so you still have 1 month to book your trip. Or you can always buy your ticket here. Update: I’ve selected randomly a winner this time. The winner of the AWE ticket is José Rodrigo! Please contact me ASAP by answer my email so we can set you up with your ticket 🙂 See you in Barcelona! sad i miss this challenge… will be any oter ? I am already talking with Servando regarding the ticket! I still can’t believe I won. Thank you very much Servando for the opportunity, I will take advantage of it! c) Running mostly FB and email. I would like to meet the people I am working with and learn more about the industry. I was at AWA in 2017 and it was amazing!So it’ll be great opportunity for me to participate in it and be the part of it. a) I am German living in Valencia (Spain). b) I have been in this industry for nearly 5 years now. c) I run campaigns mainly with SEO and FB ads. At the conference I expect to get new ideas and get to know new people. Thank you for a big oppurtinity for everyone. I’m from Lithuania.. I’m in this industry since 2012. I started from just making blogs and generating traffic from SEO, made some money but not too much, it was a great experience. In 2015 I moved to paid traffic – tried pops with your and cashmoney affiliate tips but I haven’t had much money for testing at that time but I loved the process of this game. Since last year, I moved only to Facebook and started managing one real estate client and as side-part, I was launching/testing campaigns on Facebook. I am from China, and been in this industry for more than 3 years, we running the campaign on FB and adult mostly, and we also have some native traffic. We promoting Trials offers for ED, Diet ,Skin . Attending this conference, we willing to learn more FB operation skills to promoting more kinds of products, Ecommerce , meet our AM, and find more business opptunitties. a) Where are you from (country)? b) For how long have you been in this industry? c) What kind of traffic are you running and what do you expect to learn or see in the conference? 2.) Years in the industry – I joined this great industry in beginning of 2013. 3.1) Type of Traffic – I am running for years and mastering Display traffic in variety forms, spots and networks, and trying to test many different verticals but mostly focus on Mobile subscriptions, a little bit of Dating, Sweepstakes and App installs. Also I am stepping into Native ads, but with tiny small steps due to budget limitations and cost of that type of traffic. 3.2) Expectations of AWE – The main goal will be to meet my current and hopefully many new future partners, also my current affiliate and account mangers for some great quality time and discuss current work and future projects and opportunities and how we can increase numbers and work while we helping to each other. Definitely setting up few meetings in advance, I will try to meet as many new Traffic Sources and as many direct Advertisers representatives. 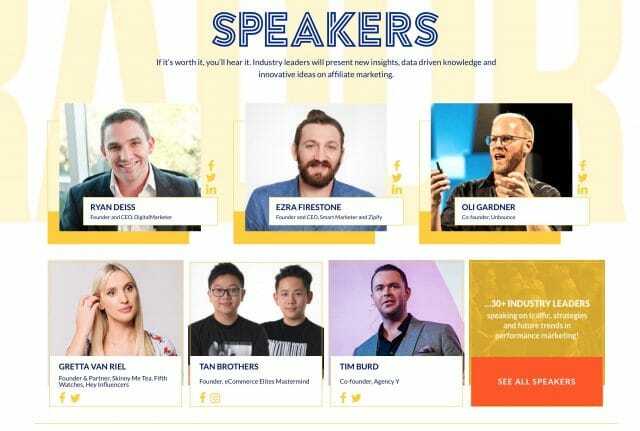 I will set up my time table so I can attend some of the Panels and Speeches related to my interests and of course mingle and networking with many other affiliates and media buyers. a) Where are you from (country)? Tarragona(Spain) – 100km from Barcelona! b) For how long have you been in this industry? Since 2014. Starting with black hat and finally going with white/grey hat depending on project. C) What kind of traffic are you running and what do you expect to learn or see in the conference? Now I know organiv and is what I’m using. I expect to learn new techniques, methods to escalate my projects to a new level! c) Popups and FB. I would like to learn native and of course new ecommerce strategies. I expect to know people in this industry, making this affiliate-world more real than just a laptop screen! i wanna learn as much as i can! 2-3 years but not full-time at the moment. Hope on the way to it. Thank you for your blogs and the chance to win the tickets! I am from Canada.I am this industry 2years.I running Google Map Local Traffic also advertising Youtube video on Google Adwords and Facebook Ads I like Instagram traffic also. I need so much lots of positive energy to my soul learning new ideas from the best. 2) I have been doing it for 5 years, although in the begining I didn’t even know it was called affiliate marketing. Full time for 2-3 years now, and you are certainly one of the individuals to blame for the step up, thanks to your classes in a certain online course I learnt to configure voluum, to run campaigns in some networks and that was the beginning of profesinalizing it. Thank you for that! 3) Pop, social, native and SEO. I hope to learn how to improve my media buying game and get inspiration for new ventures and verticals. I will also like to learn advanced ecom strategies, as we are also pushing there. c) FB ads and pop traffic mainly. I expect to meet new people, have a lot of fun and share thoughts and ideas around the industry. I’m from Spain, so the trip won’t be a problem for me. I’m from Madrid so train or plane would be a good option. I’ve been working in this industry for three years and I usually run my campaigns on social traffic (Facebook ads) but sometimes I run pop too. I would love to assist to the conference because I want to learn more about pop (wich is not my best), native and por traffic and I’m very interested too in ecommerce estrategies. I want that ticket please!!!! Thanks for the opportunity Servando! c) Mostly native & FB. I’d like to see and learn the latest strategies in FB, arbitrage & ecommerce!